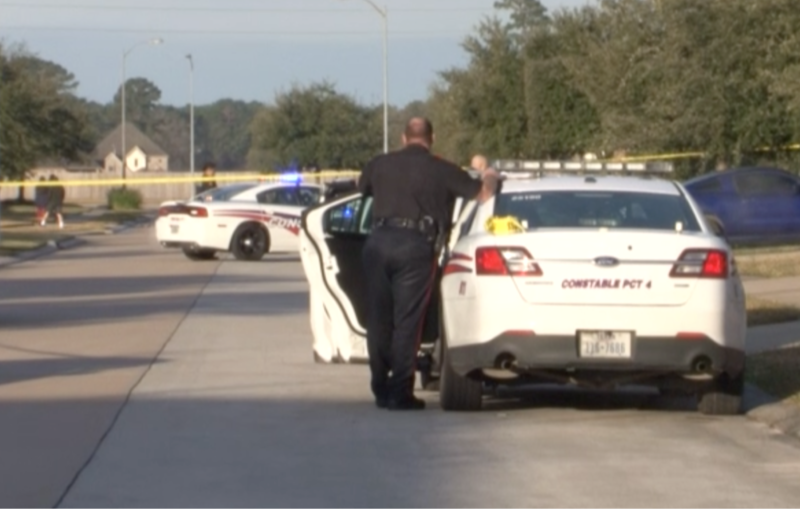 UPDATE: The woman gunned down outside her home in the 8600 block of Cedar Walk in Tomball on Friday morning has died from her injuries. Tomball, Texas – January 25, 2019: Detectives are searching for a suspect who shot a woman multiple times in the Princeton Place subdivision early Friday morning. The shooting occurred around 6:40 AM in the 8600 block of Cedar Walk Dr near Kuykendahl and West Rayford. The 29-year-old woman, identified as Elizabeth Barraza was setting up for a garage sale outside her home. Surveillance footage from a neighbor’s security system shows a black truck drive by the home, turn around and then park outside of the driveway. The suspect exited the vehicle and approached Barraza before shooting her four times; three times in the chest and once in the head after she fell to the ground. Detectives say they are unsure of the motive. Barraza’s mother-in-law told us that they did not have any enemies and live a normal life. Neighbors say that the surveillance footage shows her husband leaving for work three minutes before the shooting took place. Barraza was transported to Memorial Hermann in the Houston Medical Center via Lifeflight where she remains in critical condition. Homicide Investigators ask anyone with information to call the HCSO Homicide Division at 713-274-9100 or Crime Stoppers Houston at 713-222-TIPS(8477).